February 21, 2018 | 5 p.m.
Imparting such perspective is a principal mission of Smith’s class, Corporate Communication, which is held during Bethel’s January interim (J-term). 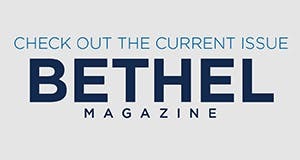 By taking the class in a condensed format, students gain more focused, hands-on experience and have the flexibility to engage in numerous real-world interactions with professionals in the field of communication—including the chief communications officer for U.S. Bank, Dana Ripley ’92. Smith’s 2018 class met with Ripley as part of their lesson on investor relations and social corporate responsibility. 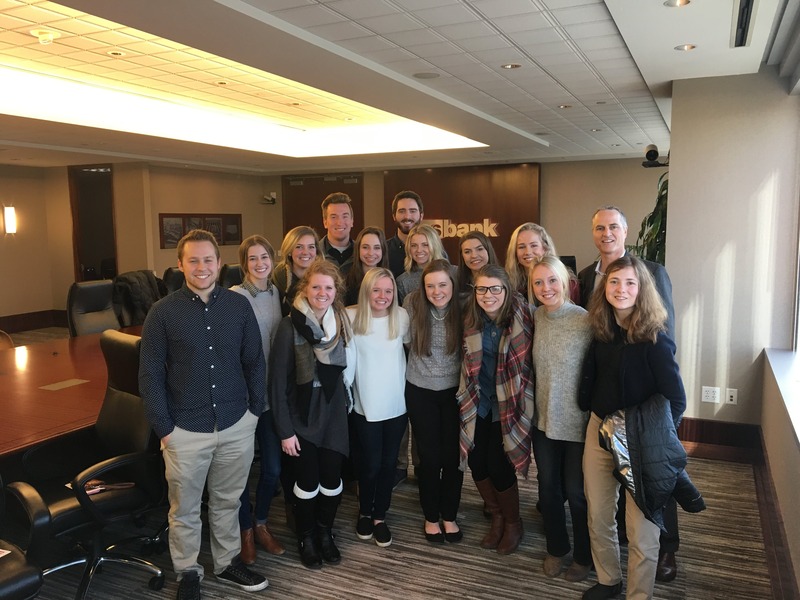 Throughout the semester, students made on-site visits to five different companies that offered unique insight into different specialty areas of corporate communication and met with professionals whose job titles ranged from director of marketing to communications coordinator. “The reason I like to take them to the sites is because we often meet more than one person, and they can see the differentiation [between roles] and the need for specialization within the [field],” Smith says. The site visits also correlate to company-specific deliverables—giving students practice writing press releases, advertorials, backgrounders, and features. For organizational communication major Godfrey Mpetey ’18, these learning experiences were the catalyst for receiving a job offer a year before graduation. Prior to taking Corporate Communication last January, Mpetey secured a summer 2017 internship at U.S. Bank. Lessons learned during the class helped him prepare by giving him more exposure to public relations, writing press releases, networking, and professional conduct. The class also gave him an important introduction to Ripley, who was ultimately the key player in determining his future at U.S. Bank.